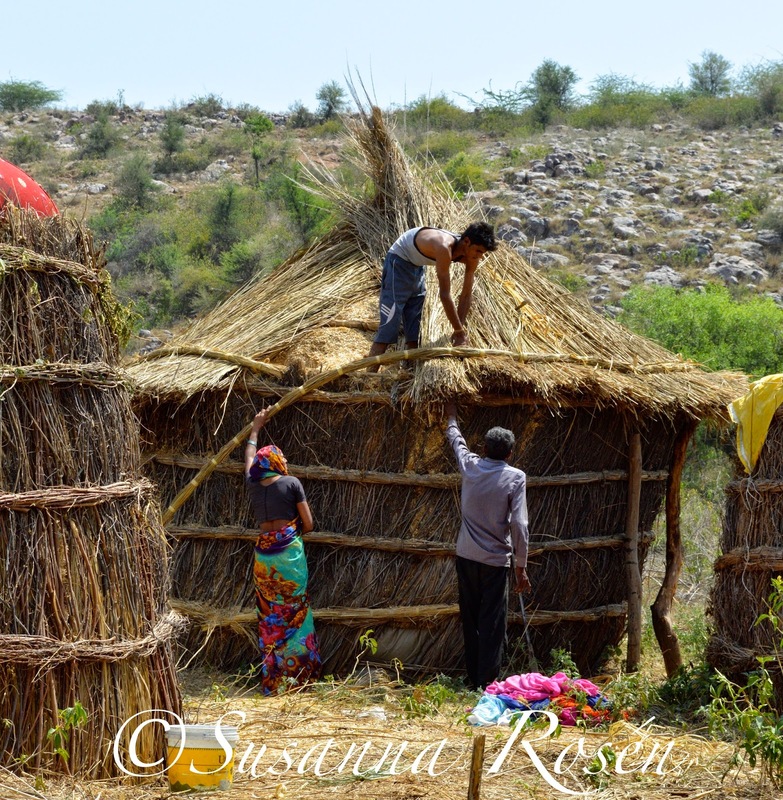 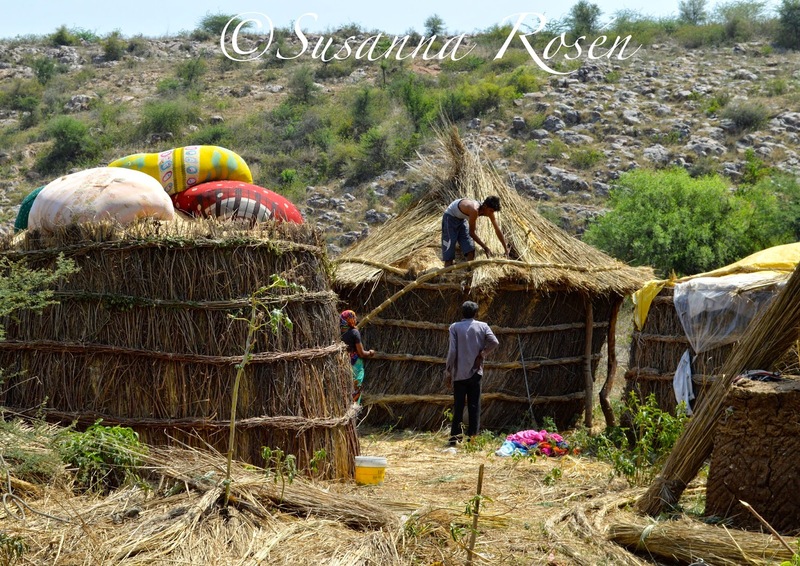 The House of Susanna / my life in India : Harvest time means building straw huts..or hats ? 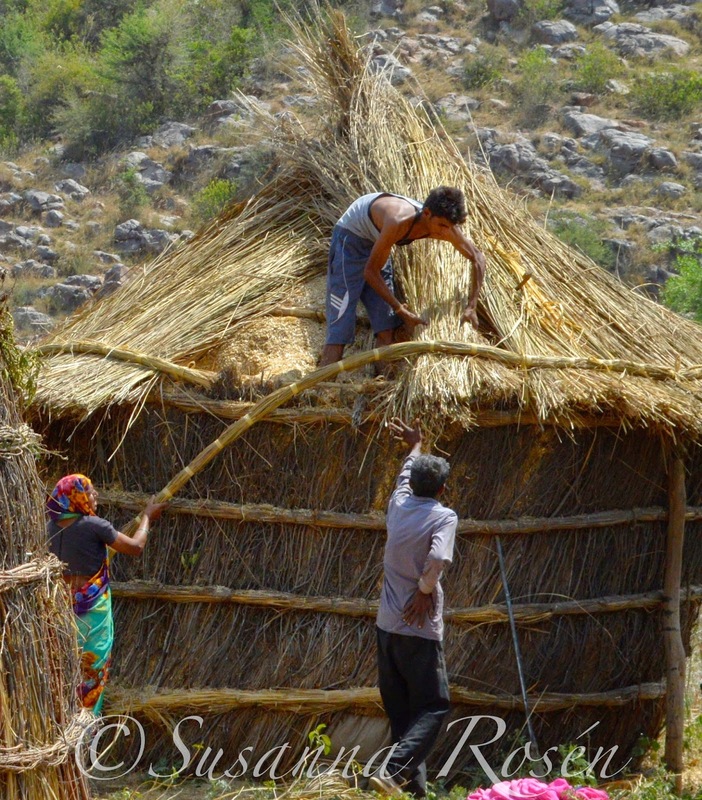 wonder of it's the same technique that they use back home when doing the old straw roofs ? 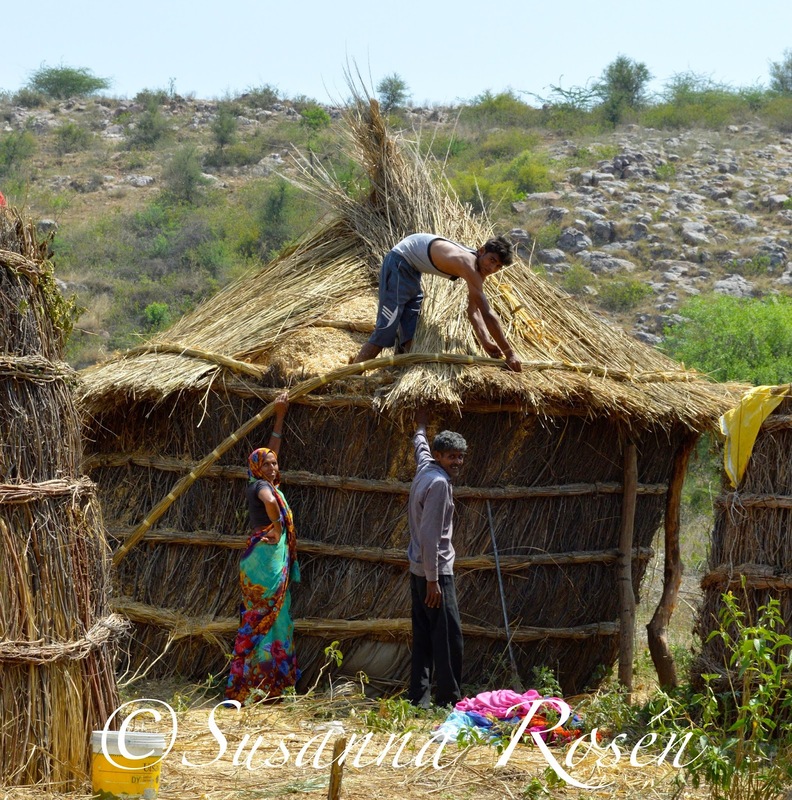 needed here ....not so sure how much back home ?